Enter for a chance to win one of forty $100 Walmart e-Gift Cards (10 per week) by uploading an Instagram photo of your RITZ®-topped creation with #putitonaritzcontest. 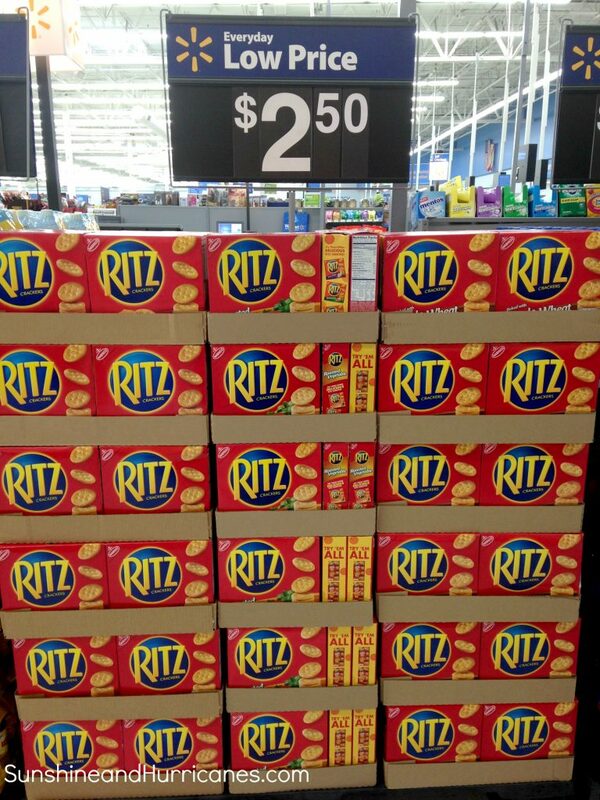 Purchase of RITZ® is not required. We are a family full of snackers over here, especially my kiddos. They will eat a meal and then ask for a snack less than an hour later! And when they come home from school, they’re always ravenous, even though they claim to have eaten all their lunch! I’ve learned that having a variety of healthy and delicious snacks on hand helps to recharge everyone before our after school activities. Everyone loves tasty RITZ® crackers and topping them with favorite ingredients makes the perfect after school snack! On your next trip to Wal-Mart, be sure to grab a box of buttery and delicious RITZ® crackers, you’ll find them on a special center aisle display or on the cookie/cracker aisle. 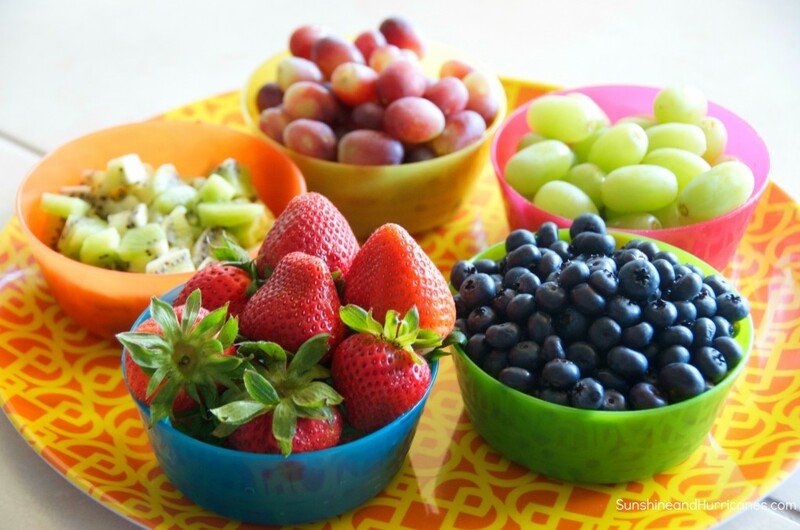 Gather some fresh fruit that your family enjoys, our favorites are any kind of berries, grapes, kiwis, and bananas! 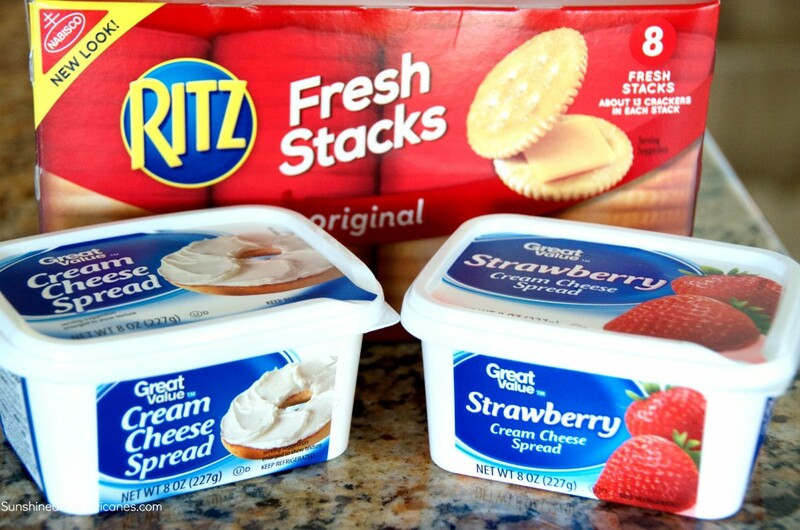 Set out some cream cheese spreads, we love the original and strawberry with the RITZ® crackers. 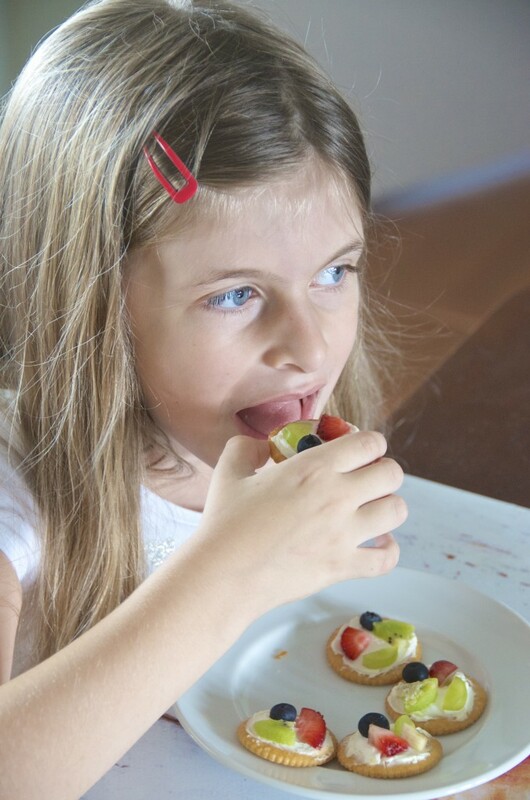 Instruct the kids to spread the cheese on top of the crackers and then add some sliced fruit toppings! Yum! I would like this snack for myself. These look super easy and delicious. Thanks! Perfect little afternoon snack for the kiddos! Can’t wait to try! This looks like a really fun recipe. I’m going to try this with my kids. Those look really good. And so easy, too. I love Ritz crackers. There are so many fun things you can do with the. One of my favorites is mini pizzas. Put a little pizza sauce on them and a piece of turkey pepperoni. Yum. These look like they would be a lot of fun to eat! What a cute idea! I love how colorful they are! 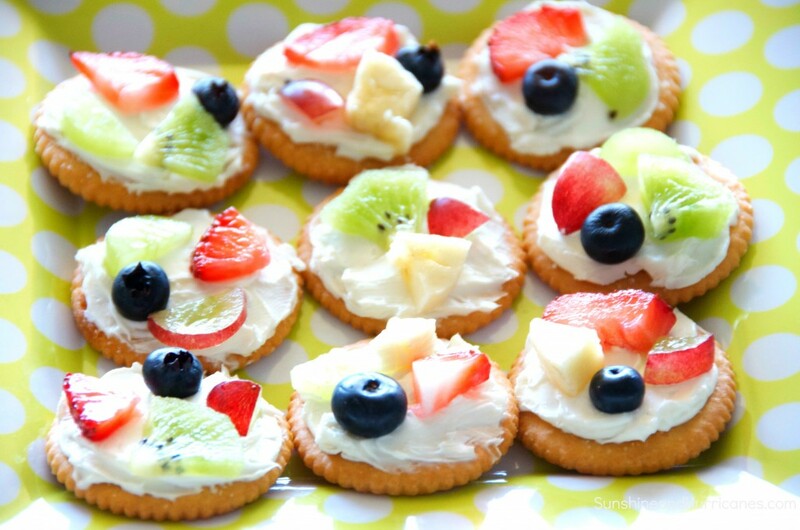 I have never put fruit on a Ritz before, but I am lovin’ the thought of combining the cream cheese and fruit on the crackers. I bet this tastes really good, and probably fills you up nicely. 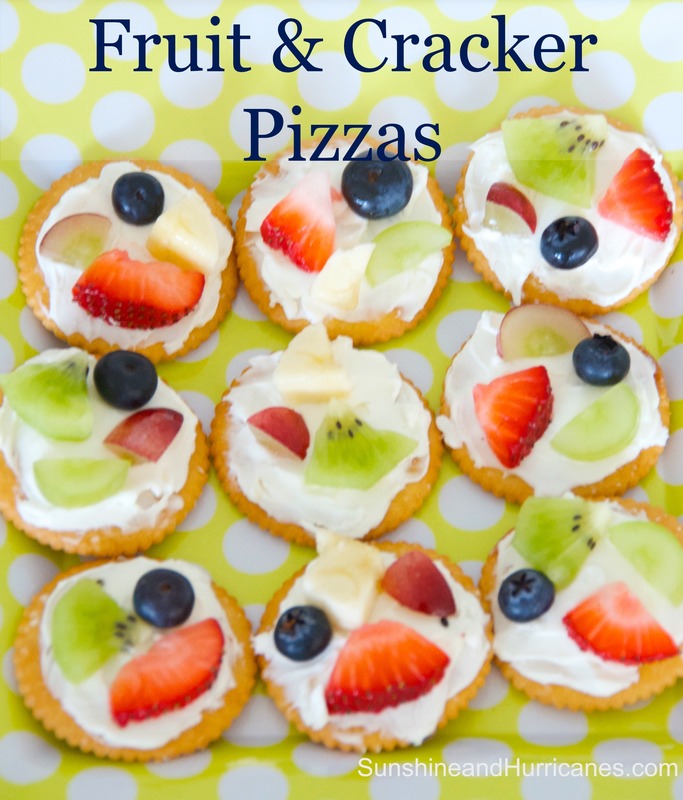 These fruit and cracker pizzas look so good. I will definitely be trying these because my daughter loves fruit so I’m sure she would love these! wow. this just made me miss my mom. she makes this aaaaaaamazing fruit pizza. but i love the idea of using a cracker! that’s so cute. thanks for posting this! Those look ah-mazing! I’ve never thought to try cream cheese on a salty cracker but I bet it’s awesome! Can you believe I’ve never tried strawberry flavored cream cheese, either? This is the perfect kid snack, even my toddler would love helping assemble it!